Hailing from Canberra, Australia’s capital, Kazuki is the DJ/producer creation of musician Peter O’Rourke. 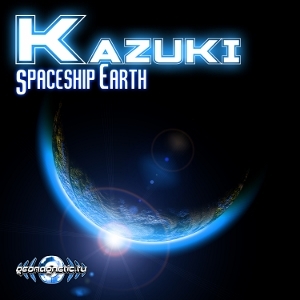 Spaceship Earth is his first release, a cosmic interplay of lush interplanetary synths and driving bass lines showcasing the different shades of the Kazuki sound. Originally released through USA psytrance label Geomagnetic Records in 2012, Spaceship Earth is now free for download on Ektoplazm. Mastering and artwork by Geomagnetic Records. MP3 Download | FLAC Download | WAV Download · Download count: 7,012. Good music mate reminds me of SNYPER boom bolenath.